Your phone rings. Or the text alert sounds off. You check who it is, and it’s Willis. 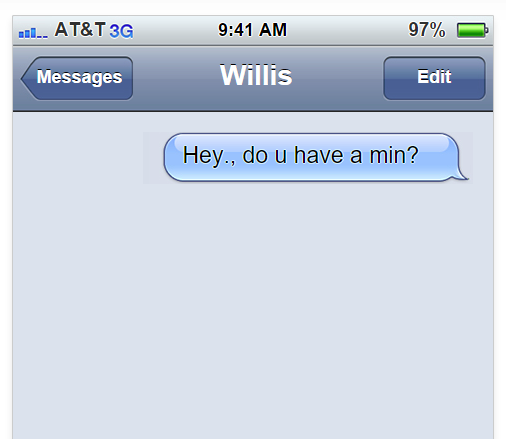 Willis doesn’t contact you often, but when he does, you almost always know what it is: He needs something. His son has a fever — could you pray? His lawn needs mowed — could he borrow your mower? He has a job opportunity — could you write a recommendation? These are the only times you hear from Willis, so you know, as you look at his name on your caller ID that he needs something. And you — like every other good Christian, like you do every time Willis calls — respond with kindness. You pray, you lend, or you write that recommendation — whatever the case may be. And you love Willis. Because that’s what Jesus does. He loves you. I know that through various seasons in life, I have been the “Willis” in Jesus’ life. Sometimes I’m the one who comes to Him only when I need something. When my wife is sick — Help her, Jesus. When my schedule is packed — Help me get this done, Jesus. When my finances are a little iffy — Help me find ways to make ends meet, Jesus. And Jesus responds with kindness. He heals. He helps me find margin I didn’t have before. He provides. He loves me. That’s what Jesus does. He loves. But may I suggest that if you are Willis on the caller-id of heaven’s prayer-line that you’re probably not the most spiritually healthy person who ever calls? I don’t mean to judge. Judge for yourself. This podcast gives you a way to do just that. More than helping you see for yourself, this podcast helps you see ways to become more spiritually healthy! 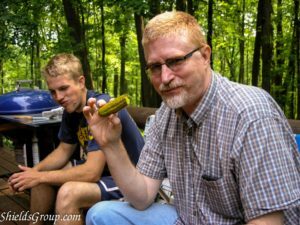 This entry was posted in sermon podcasts, Spiritual Life and tagged maturity, prayer, soul care, spiritual formation, spiritual health by Steve Shields. Bookmark the permalink.